Deep Shades Of Purple - Deep Shades OF Purple - Chicago's Deep Purple Tribute! Deep Shades Of Purple - Chicago's Deep Purple Tribute. of the legendary Power House band Deep Purple! Deep Shades of Purple bringing the high energy and attitude of the original Deep Purple to venues near you! Playing "In Concert" (60/90 minute set), Deep Shades of Purple is ready to rock out the entire iconic Deep Purple Album "Machine Head" which includes the classic hits, "Highway Star", "Lazy", "Space Truckin'"
and of course the Hard Rock Anthem, "Smoke On The Water"
My Woman From Tokyo" and the 70's era concert staple "Child in Time". If It's from the Purple catalog, Deep Shades Of Purple is ready to bring it to a stage near you! "Wigs and improper equipment are not our style....we have an arsenal of Hammond's, keyboards, Marshall Amps and Fender Strats available to us. You come to hear the authentic sounds of Deep Purple, not a look a like band that slops through the tunes. Having put the time (2006 to present) and effort into finding the right members to pull this project off, we are positive you will not find a better Purple Tribute in North America! Heck, we might even be the best in the world!" 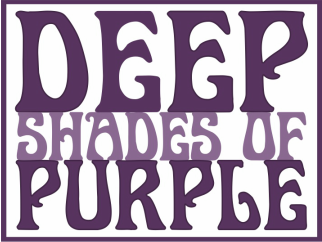 Deep Shades Of Purple is ready to be "In Rock" and "In Concert!" Twin-Bill 'Concerts' to Chicagoland and the Burbs'! When we Rock...We Rock. When we Roll...We Roll. Content copyright 2013. deepshadesofpurple.com. All rights reserved.